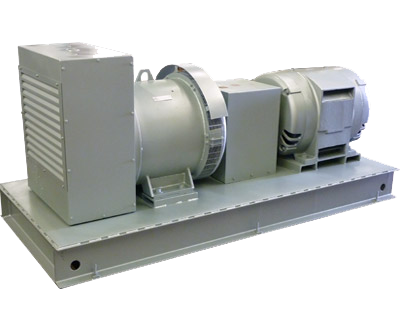 A power line conditioner (also known as a line conditioner or power line conditioner) is a device intended to improve the quality of the power that is delivered to electrical load equipment. While there is no official definition of a power conditioner, the term most often refers to a device that acts in one or more ways to deliver a voltage of the proper level and characteristics to enable load equipment to function properly.In a nutshell, poor incoming electrical power converted to good output power. In certain applications, only complete power line isolation (complete electrical discontinuity, input to output) or power line conditioning (poor incoming electrical power converted to good output power), is required. In this situation, an insulated flexible coupling is used between motor and generator, to transmit the power from motor to generator, and completely isolate the input from the output. Typically, no change is made to the frequencies, although phase or voltage conversion may be required. Power line conditioners and isolators can be made in either rotary solid state construction. Our power line isolators and conditioners are available in various voltages.